People talk to themselves ALL the time, hopefully in silence of course. But seriously, have you ever stopped to listen to the way you talk to yourself? If someone could overhear your self-talk would they think you were speaking to a loved one or someone you dislike? If you haven’t taken the time to listen to your inner dialogue, take a few minutes to eavesdrop on the thoughts that go through your mind. Write some of them down, and notice their tone; are they kind or unkind? Are they maybe a bit of both? There is one person you will spend your whole life with and that person is you. It is a good idea to think about how you want this relationship to go. People with successful relationships usually work at it continually. Are you working on your relationship with yourself? Believe me; the ride will be much more pleasant if you have a kind and loving relationship versus being at odds with yourself. Make a list of kind and loving thoughts you think about yourself. 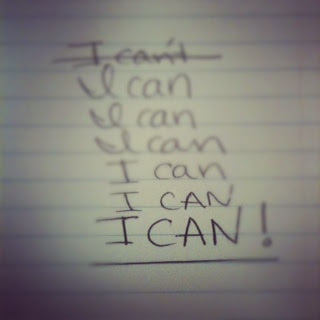 You can write achievements you have had throughout your life or thoughts you would like to have about yourself. Sometimes writing down what people who love you like about you can be helpful. Repeat these phrases to yourself over and over again while driving, when you feel bad about yourself, while bathing or looking in the mirror. The more you do this the easier it will be to believe them. You can think about this as re-framing your thoughts, and this is one of the most valuable teachings I received many years ago. When I began these practices it was difficult to be kind with myself. As time progressed and I practiced this continually I became much kinder with myself. I will admit that I find it easier to be honest about my defects than my abilities, but I continue to be warm and loving with myself. I can say I am a good friend of mine most days. Creating supportive and kind self talk takes time and continual practice. Give yourself the gift of consciously cultivating a friendship with you. I cannot stress enough that practice is the key to reaping the rewards. 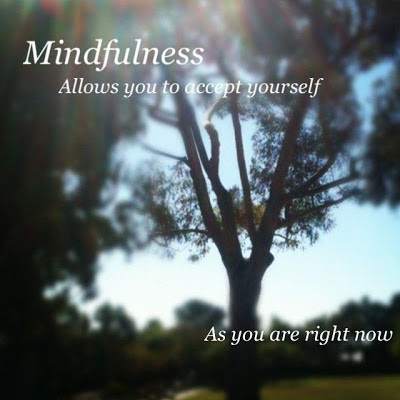 "Mindfulness allows you to accept yourself as you are right now." I am really excited to be uploading "Practicing the Art of Happiness" first video blog. Would love to have been 20lbs. lighter but I guess you'll have to tune in to see how I subtly loose them as you watch the different videos I will be posting in the following months. I am able to share such beneficial material thanks to my Producer, Editor and Graphic Designer who also happens to be my lovely husband, Edgar A. Morales. We will be working on improving the quality of our videos and learning as we go along. But before we become experts, we will be "practicing". I hope you enjoy the material and recommend that you give yourself the opportunity of experiencing the different techniques and make them part of your personal wellness toolbox. Practice being in the moment. This is where you are the most empowered to create well-being. 1. Look. What do you see? Colors , objects, etc. Notice carefully. 2. Smell. What do you smell? Notice the most subtle aromas. 3. Listen. Close your eyes and listen. What sounds do you hear? 4. Taste. What flavors can you taste in your mouth? 5.Touch. What can you touch? How does it feel? Rough? Soft? "This infinite number of possibilities is called The Now." I saw this book at a store a few years back and thought it would be perfect for my book club. But then I remembered that I had suggested self-help books to many individuals throughout the years with not-so-grand results. It turns out many disliked the recommendations because maybe it implied that I thought they needed help. But doesn’t everyone need some type of help? So I decided not to suggest it for the book club and just read it for myself. I had just had my son and could not, for the life of me, get back to the previous practices that made me feel calm and happy. I used to meditate five to seven days a week between 10-30 minutes, practice yoga around five times a week, was surrounded by interesting and uplifting information due to my work. I had meaningful interactions with friends and loved ones regularly and was involved in what I believe my purpose in life to be, which was truly fulfilling. At some point, I felt like I mastered many aspects of my life and if I didn’t, at least I had somewhat of a handle on things. After my son was born, my world turned upside down. I had no idea how to get back to a more balanced nature. I felt stressed out for a year or more. I thought I did not master any part of motherhood or homemaking which made me feel frustrated. And I felt tired all the time, apparently this is very common in motherhood. Lovely! I found Gretchen Rubin’s writing refreshing. She can share different parts of herself with humor at the same time that she can share knowledge of great minds about how to achieve overall satisfaction with life. At times, I felt like I was getting the knowledge of many books by only reading one. Gretchen dedicated a year to creating greater happiness in her day-to-day life. She already felt happy, but believed she could be happier. I respected that she would do all of this while staying home living her regular life and not making drastic changes in order to achieve her goals. Her project took on different themes each month comprised of specific activities or attitudes. I read some mixed reviews about this book, but I learned a lot from it. I have this personal philosophy: “take what serves you and leave what doesn’t”. My disposition since I picked it was to enrich my own life and I did. 1. Boxes. Yes, you read correctly. Boxes make my everyday life much more enjoyable. With a toddler and an insane amount of toys around, getting a few “grown up looking” and easy on the eye boxes to make my home look tidier made one of the biggest improvements in my mood. I know! Crazy, huh? 2. Pick my battles. I can be a really good nag, which drives my family crazy. When I don’t get what I want done, people will hear about it. Over and over. Now, I really try to let some things go. Now, when something comes up I ask myself: “is this worth getting mad and ruining a perfectly good morning/afternoon/evening?” I can honestly say that 70% of the time I drop it. This amazes me! Who knew I could let go with such ease? 3. Spend quality time with friends. I have made a conscious effort to make time for my friends. In the past I did not do that so well, but in the last two years I have really tried and seen many of my relationships blossom. It has brought me great joy and comfort. I thrive when I am surrounded by profound and intelligent people I admire and respect. Reading “The Happiness Project” helped me to recommit to creating greater satisfaction in my life. I try to be conscientious about my daily practices and how each moment shapes the rest of my day, week or month. I can say that I choose to seek and implement activities that help me feel good. Some days I thrive better than others, but I make sure to be active in my own happiness. One of the ways I create a happier day for myself is by meditating. I feel that most people have great misperceptions as to what this practice is and about who can or cannot do it. If you are alive and breathing you can meditate. It is a practice and like any practice the more you do it, the better you get. 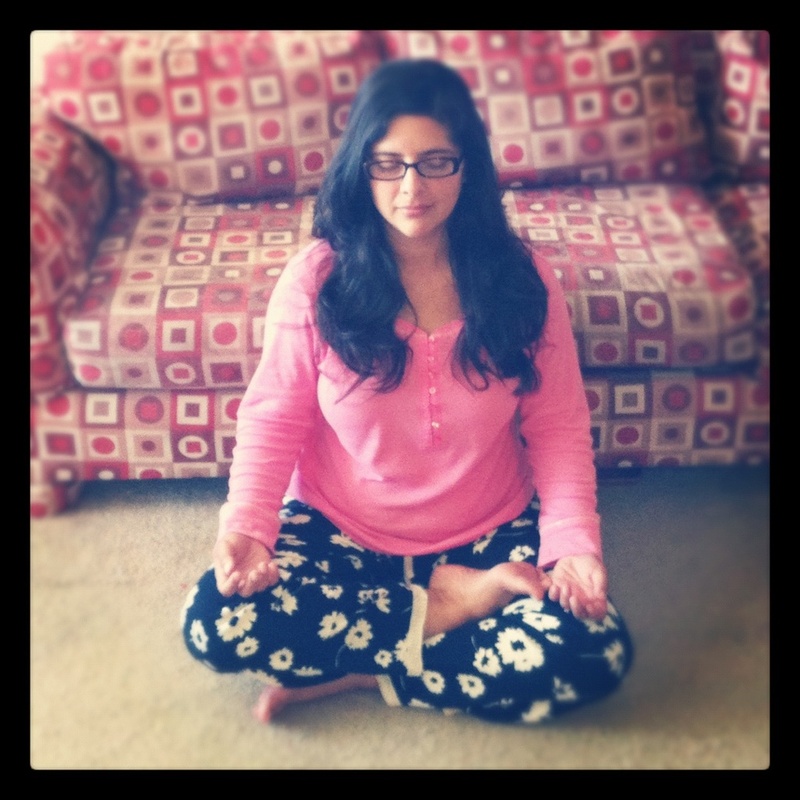 I have been meditating for many years and I choose to practice different meditations to keep me engaged. 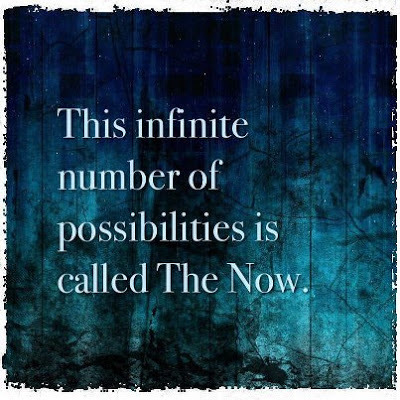 Today I chose to pick a thought that is pertinent to my day and what I want to create. I sat down in a comfortable position with my back straight and began to breathe deeply. I chose the phrase “I am sharing my many gifts with the world”. I tend to pick and choose very carefully who I share my deeper thoughts and beliefs with, so sharing in a blog a lot of my professional and personal knowledge makes me nervous. As I was meditating on this thought I continued to breathe and every time my thoughts wandered to another subject like: Do we have enough coffee? How’s that bench in the park for giving a meditation? I would kindly remind myself to bring my thoughts back to what I was meditating on. But the mantra I picked did not grasp what I wanted to reflect on, so I changed it into “I am trying to share my gifts”. I use my body as a gauge to notice what feels “right” and what doesn’t. When something is right I tend to feel a loosening in all of my body. I felt more relaxed then when I began but not completely. There was a bit of uneasiness with the phrase, so I continued to change my mantra until my deeper sense agreed that it was “I am learning to share”. Suddenly my breathing was deeper and felt this was much more authentic with my present moment. I did relax but not as much as other times I am meditating and that was fine. When I finished my morning meditation I had a smile on my face and felt happy with the thought that I could share myself with others and that it will be okay. When I meditate on thoughts that I want to become my real way of thinking I somehow give myself permission to become that or to create that. I will be sharing much more of my meditative practices and experiences and hope that this supports your own wellness practices. We all are a combination of our parents, grandparents and great grandparents. From our DNA to our thought patterns and behaviors we take a bit of each one of these people and incorporate them into our lives. Have you ever been told you make the exact same face as someone you have never even met? Or how you use a phrase that a relative used without you knowing? We have a deep connection with these relatives and oftentimes we are not aware of it. It is because of this close relationship that when we have harsh judgments of our ancestors it affects how we feel about ourselves, whether we are conscious of it or not. Learning to honor where we come from allows us to honor ourselves and to be accepting of oneself as a whole. Have you ever thought about how unique the coming together of each one of these couples has been? A lot of synchronized events had to take place for this to occur and these circumstances make your life more special. It is thanks to your great grandparents, grandparents and parents union that you were able to be conceived. Have you thought of the obstacles they overcame to be united? Are they from different parts of the world? How was their meeting? How special were all the experiences that brought them together? Did they overcome any obstacles? If you are not aware of much of this information, try to ask as much as possible so you can learn more about where you come from and the history that has shaped your own life. Whenever you are about to make a difficult decision, close your eyes for a moment and imagine your parents, grandparents and great grandparents standing behind you supporting you in your current endeavors. This can be done for a few minutes in the morning before starting your day. Try it for some time, and see if it makes a difference in your daily life and how you feel. 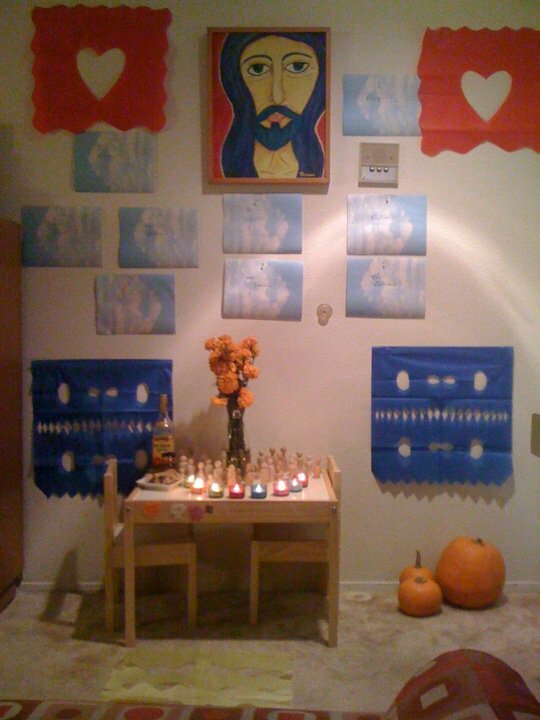 You can add a picture of your parents and other family members around your home as an honoring practice. Look at them and try to cultivate an appreciation for each of them and their personal story. Practice a sense of wonder and gratitude for each one of these people. Do you know their whole story? If not, seek to know more about them and learn some of what they experienced. When did they live? Was it during the war? What were the circumstances in the country they were in during that time? Ask as much as possible so you are able to know more about where you come from and what history has shaped your own life. Remember that this is a practice. The more you engage in it the more gratitude you will be able to feel. I hope to hear about how this goes for you.